There are many questions that you may be asking when it comes to Internet Marketing. 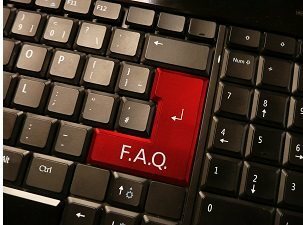 Here are some of the most common and frequently asked questions at SLS Consulting. We provide a helpful proven service and are happy to answer any other questions or concerns. Q) What is Legal Internet Marketing? A ) Legal Internet Marketing refers to the online advertising campaigns that attorneys and law firms put into place to help obtain new business via the web. The creation of a website, regular posts to a blog, and even a strong social media presence are all aspects of a well-rounded Legal Internet Marketing campaign. Q) What does the process of building a website involve? A ) There are a lot of factors that you need to take into consideration while building a website. For starters, you need to determine what you’re trying to get via having a website. Most often, law firms are trying to obtain new clients. Second, you need to determine what you want the site to look like, and what features you want it to have. If you’ve hired the right marketing company, you’ll soon find yourself with a custom designed site that is not only personalized, but also structured for client conversion and search engine optimization (SEO). Q) What makes one website better than the next? A ) The most obvious answer deals with the look and feel of the website. A dynamic design, coupled with an easy to navigate layout, are two of the most important factors when it comes to the quality of a website. On the backend, the way a website is coded can also play a significant role in how a site functions and whether or not users are going to be willing to return to the site after their initial visit. Q) Why is a blog important? A ) Your website, while informative, is going to be inherently impersonal after a few visits. While that’s not to say that your website’s content is anything less than well written and informative, it is often difficult for a company’s message to come across via its website content alone. A blog grants your company the ability to voice its opinions on happenings in your industry, and allows a more personal tone to shine through in the writing style. If you allow comments on your blog, it will also allow site visitors to ask your company direct questions about its services, its published viewpoints, and seek further explanation about any number of topics that your company has deemed itself an authority on. A blog can ultimately show that your brand is knowledgeable, an industry leader, and can be turned to for valuable information. Q) How does social media fit into the Legal Internet Marketing game plan? A ) While most people wouldn’t necessarily associate their lawyer with Facebook or Twitter, there are ample opportunities for attorneys and law firms to participate in the world of social media. Similar to the way a blog can exhibit one’s expertise and help foster outside discussion, so too can social media profiles be used to convey a lawyer’s knowledge in a particular area of law and allow others to potentially interact with the lawyer on a more intimate level. It just needs to be made clear that any interaction shared on a social media site does not represent actual legal advice until an official contract is entered into. Q) Why is local search important? A ) Local search allows potential clients closest to you, geographically, to easily find you online. It can also help people find your law firm when geographic indicators are used as part of a search. Overall, the most important part of local search is consistency, which can ultimately mean the difference between a page one ranking and lacking a local presence all together. Verifying that your law firm’s contact information (name, address, and phone number) is accurate in as many places online as possible provides major search engines, such as Bing and Google, with credible citations that can be used to help collaborate your information and better your local search placement within search results. Q) How can I rank for certain keywords if search engines don’t like keyword stuffing? A ) The key to keywords is to just be natural. Don’t force keywords or phrases into your content. Allow those keywords to natural appear in your content. Not only will visitors to your website appreciate that you aren’t trying to fluidly force keywords and phrases into your writing, but you will not be penalized by search engines. Overuse of keywords can definitely lead to site penalties, can be very off-putting for people visiting your website, and can prove extremely detrimental to your Internet marketing campaign. Q) How should I choose a marketing company? A ) Look to testimonials and reviews to help find a good fit for you and your law firm. Remember, past success is often an indicator of future results. Contact former clients if possible, and you’ll get a better idea of whether or not the prospective company is right for you.